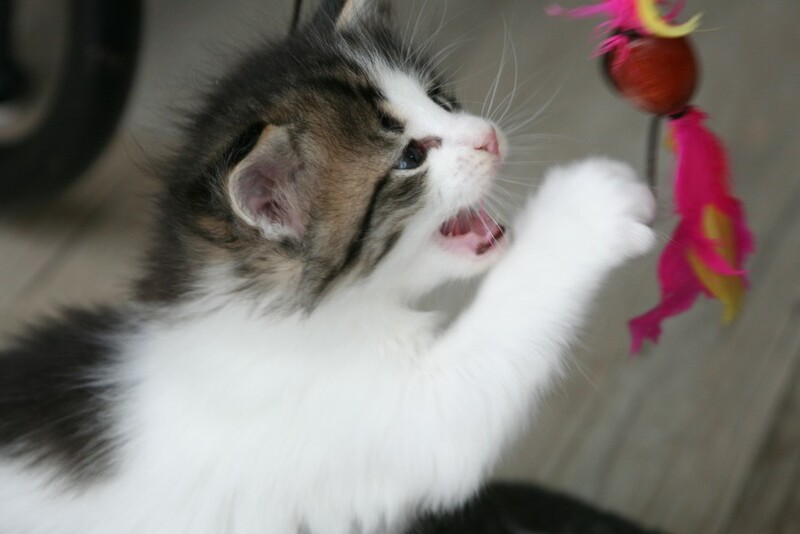 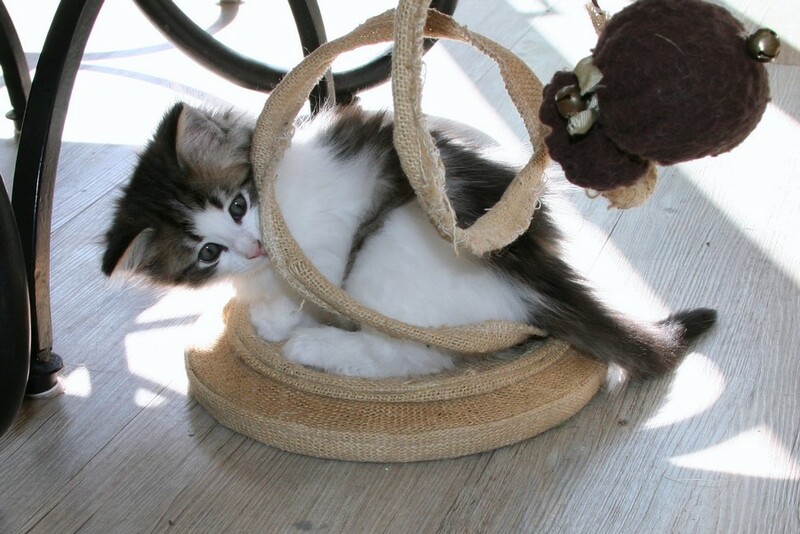 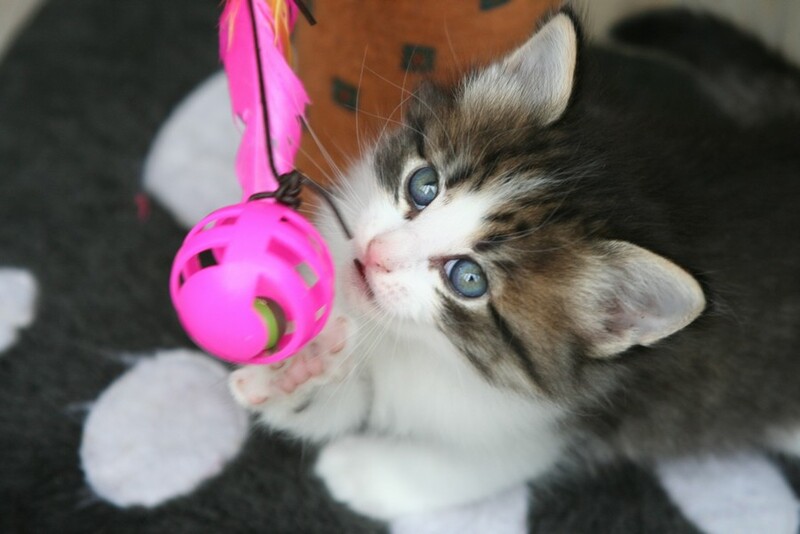 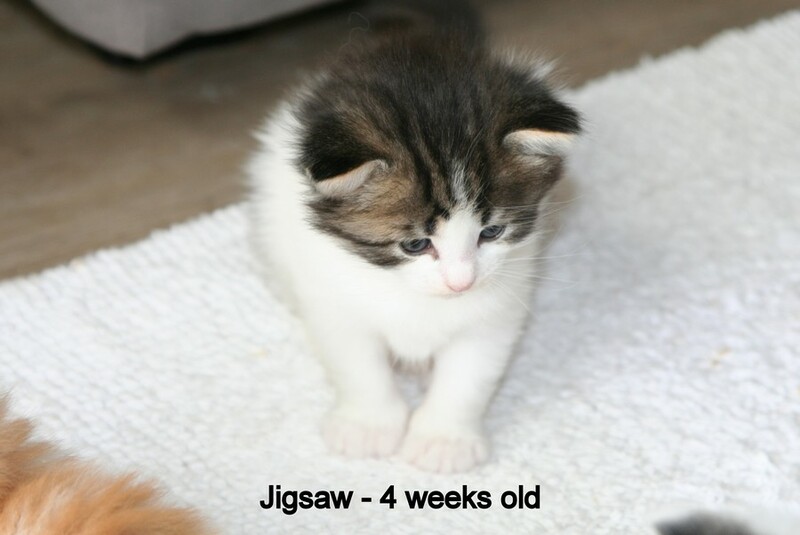 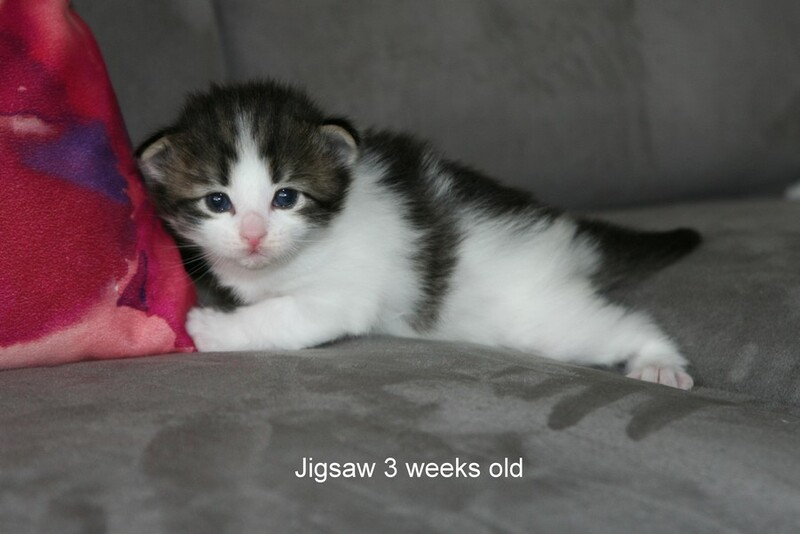 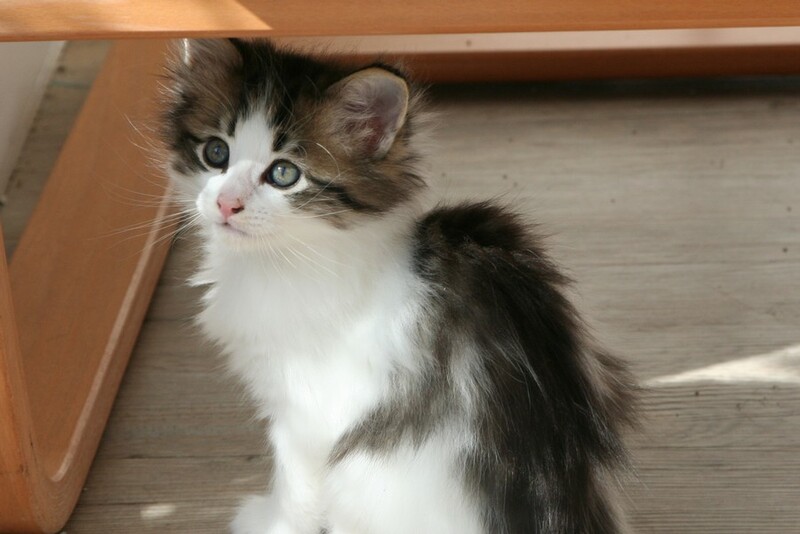 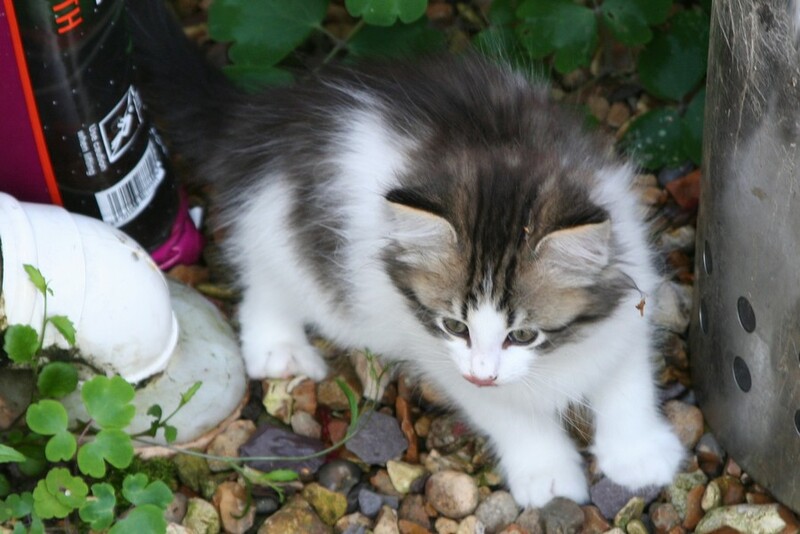 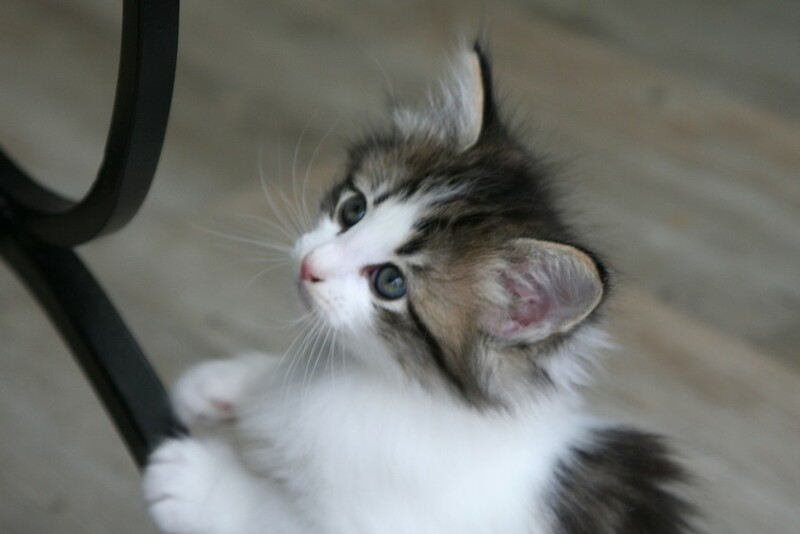 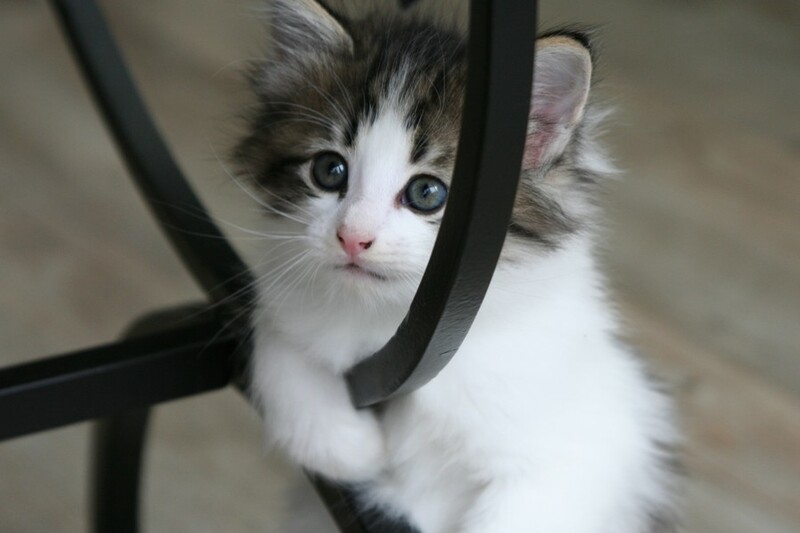 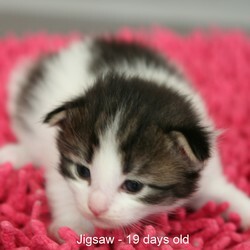 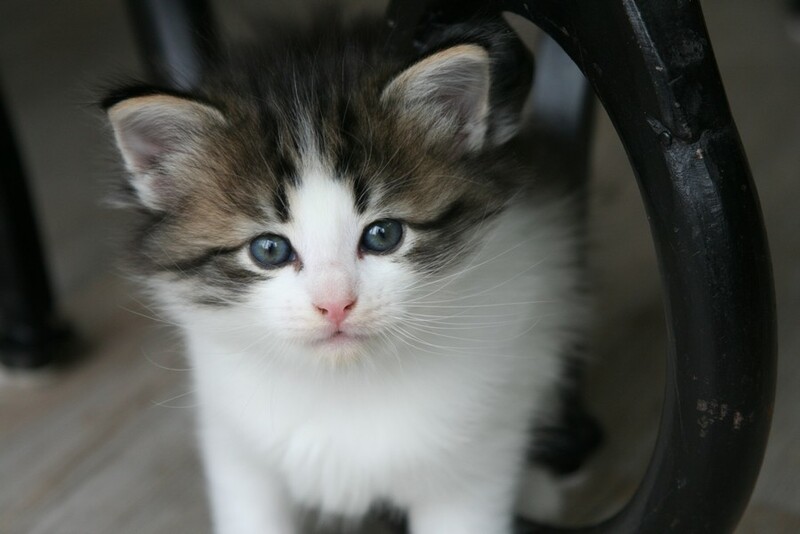 At almost 10 weeks old, Jigsaw is now a confident little cat with lovely face markings. 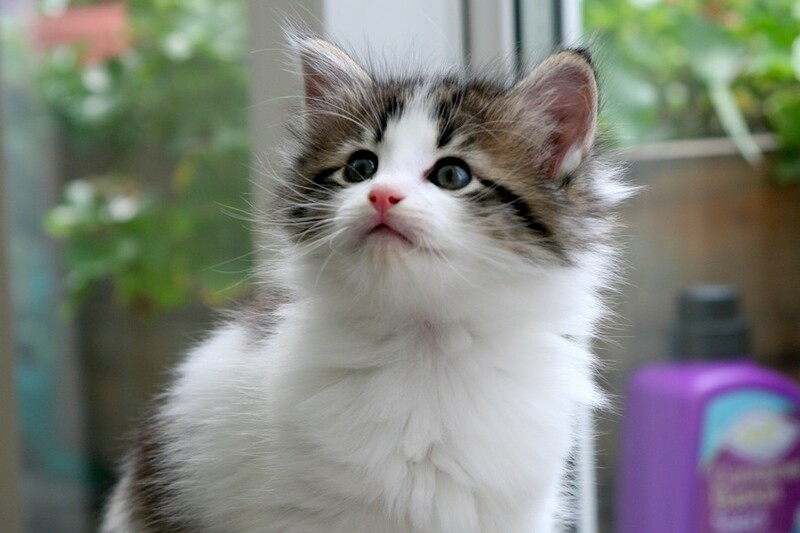 I used to think she was shy and quiet, but now often find her alone upstairs on a window ledge, observing the world go by. 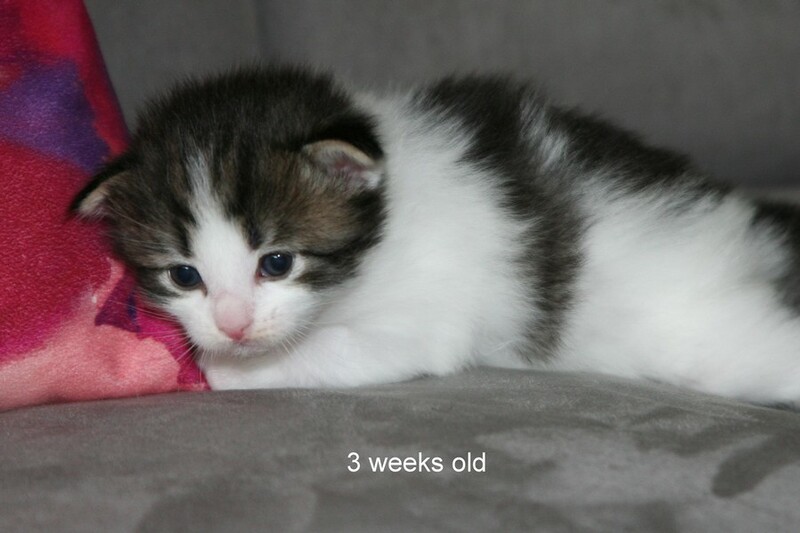 She is going to live with Twister and I think they will compliment each other. 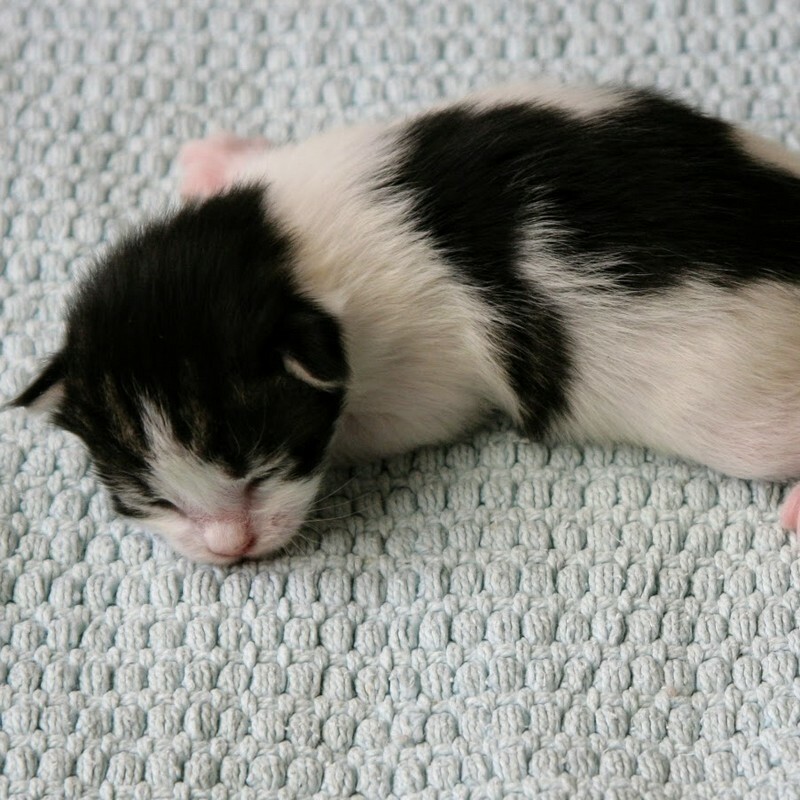 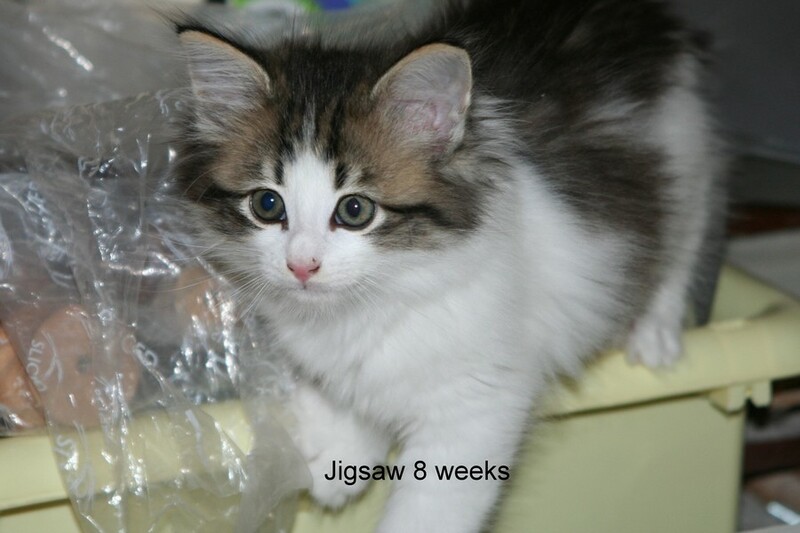 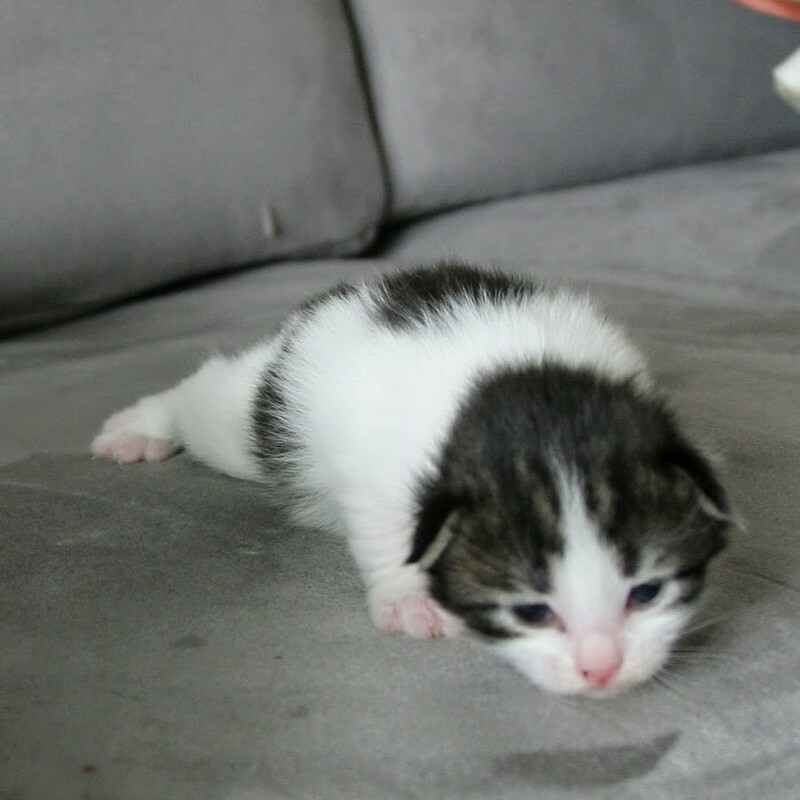 Jigsaw is like her name - odd shaped pieces of black tabby on a white background. 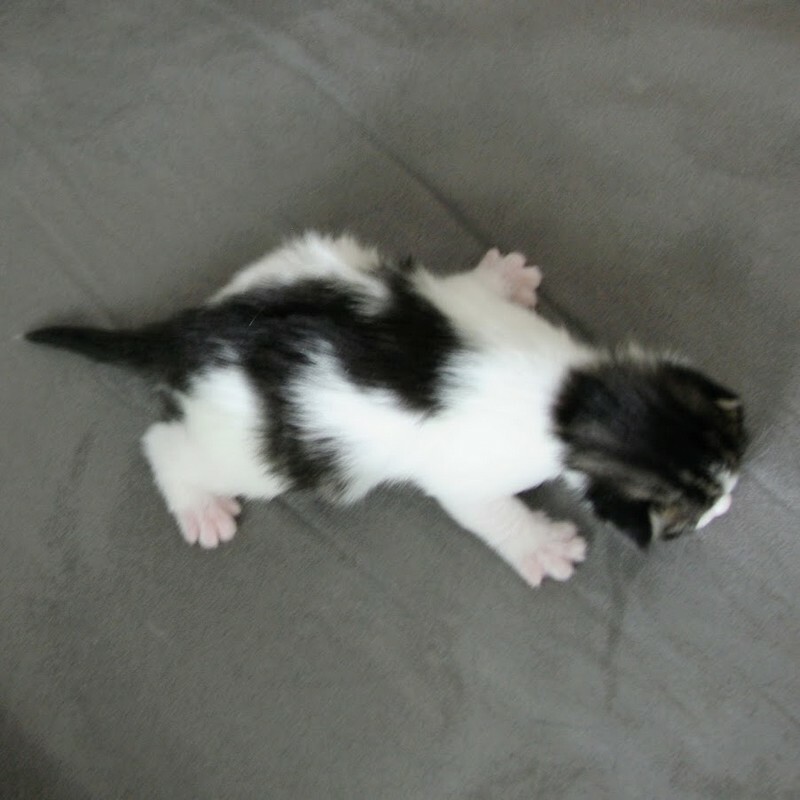 She is probably a bicolour pattern,but we will see how she develops.